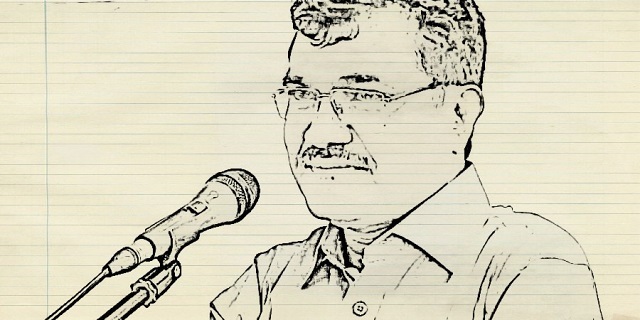 We, the undersigned students, faculty, alumni and others from IIT Kharagpur are shocked with the threat of imminent arrest of our ex-colleague, Prof. Anand Teltumbde. This comes in the aftermath of rejection of the appeal he filed at the Supreme Court regarding the baseless FIR lodged against him by the Pune police under the pretext of the Bhima-Koregaon incident. He has currently been granted a period of four weeks for seeking pre-arrest bail from the competent Court. Details of the charges can be viewed in the following link: http://bit.ly/chargesonanand. Prof. Teltumbde has been known as a renowned management professional and a scholar. He graduated as a Mechanical Engineer from VNIT Nagpur and pursued a degree in Management from IIM Ahmedabad. He did his doctorate in Cybernetics and has held responsible positions in the corporate sector such as Executive Director of Bharat Petroleum Corporation Ltd. and Managing Director & CEO of Petronet India Ltd. Even while being in the corporate sector, unusually, he published over 20 research papers in prestigious journals. Later, he was invited to serve as a Professor in IIT Kharagpur, where he taught business management courses for more than five years before joining GIM. Currently, he heads the Big Data Analytics program of GIM and has launched a post-graduation course this year, the first of its kind in the country. Despite his highly active professional life, he has always been intent on giving back to the society. His intellectual contribution encompasses studying of various social issues and publishing of hundreds of articles along with a regular column, ʹMargin Speakʹ in the prestigious Economic and Political Weekly (EPW). He has authored 26 books which have been well received and widely read in India and abroad by prestigious publishing houses such as Zed books, Routledge, and Penguin Random House. Besides this he has also delivered hundreds of lectures across India and abroad for the past three decades thereby carrying out the role of a public intellectual. Various universities have conferred upon him several laurels, awards and honorary doctorates. Coming from the poorest of the poor family, Prof. Teltumbde passed through the best institutes in the country with scholastic achievements. Just being an alumnus of hallowed IIM Ahmedabad, he could have easily lived a luxurious life only if he had chosen to ignore social oddities around him. However, with a sense of contributing to better the lives of people, he decided to just make enough to sustain his family at a reasonable living standard and devote time to make intellectual contribution, the only thing possible, towards making the world a little more just. Informed by this instinct, the residue of activism during his school and college days naturally landed him in organizations like Committee for Protection of Democratic Rights (CPDR) of which he is today the General Secretary and All India Forum for Right to Education (AIFRTE) of which he is a presidium member. He has selflessly fought against caste-based discrimination and human rights violation of the marginalized. Moreover, he has been vocal about the education sector which is adversely affected by the neoliberal policies adopted by successive governments. By closing down primary schools, severely cutting funds in higher education institutes, encouraging private investments on education, funding private institutes by tax-payersʹ money, forcing institutes to generate their own funds through fee hikes or corporate funded research etc., the ruling dispensation has continually tried to push forth their monstrous neoliberal agenda of liberalisation and privatisation. These incidents are not be treated as stray incidents, rather they aim towards dissociating the marginalized masses from the fruits of education. These issues of national concern have been constantly brought to the fore by activists and students under the banner of AIFRTE. Prof. Anand Teltumbde has been a guiding force behind this nationwide movement to save the education sector in India. There is not an iota of unlawful in either his voluminous writings or selfless activism. Rather, his entire academic career and corporate career of nearly four decades has been without a single blemish and exemplar of integrity of highest degree. Despite all these, the danger of being arrested looms large over him. Moreover, as in insinuation of his connection with Bhima-Koregaon or Elgar Parishad, he has been a critique of the episode and his criticism has been published in The Wire [https://thewire.in/caste/]. Under the preposterous charges slapped against him, Dr. Teltumbde can only be arrested under the draconian UAPA which can mean years of incarceration. Even a hardened criminal can get away with his crime with a metered punishment of a year or two but an innocent person merely for the police, invariably acting at the behest of political bosses, claim that they have evidence against him could keep for years in jail. The arrest for him is not simply the hardship of prison life, it is keeping him away from his laptop which has been integral with his body, from his library which has been part of his life, half-written manuscripts of books committed to various publishers, his research papers which are in various stages of completion, his students who staked their future on his professional reputation, his institute that invested so much resources in his name and recently took him on its Board of Governors, and his numerous friends and of course his family—his wife, who, as the granddaughter of Babasaheb Ambedkar hardly bargained for this fate and daughters who are already disturbed not knowing whatever that has been happening to him since August last year. For a person who has devoted almost four decades of his professional life in serving this state apparatus and advocating justice for the marginalized, such criminalization is utterly unjust. With all his intellectual contributions, Prof. Teltumbde has lived his life as an honest truthseeker and has questioned any injustice throughout his life. Whatever criticisms he made, and whatever questions he placed, he has made it with utmost scholastic discipline. Keeping all his activities and credentials in mind, it is quite unfortunate that a scholar like him is having to face such police actions without any iota of wrongdoing. We stand by Prof. Teltumbde and demand quashing of the baseless FIR against him not only to lend him and his family strength to endure this torture but also to do our part as responsible citizens in protecting the democratic ethos of our country.